BRICS ministers back reform of the UN Security Council – but don’t explicitly call for three of their members to get permanent seats. China and Russia did not demand permanent seats for South Africa, India and Brazil. 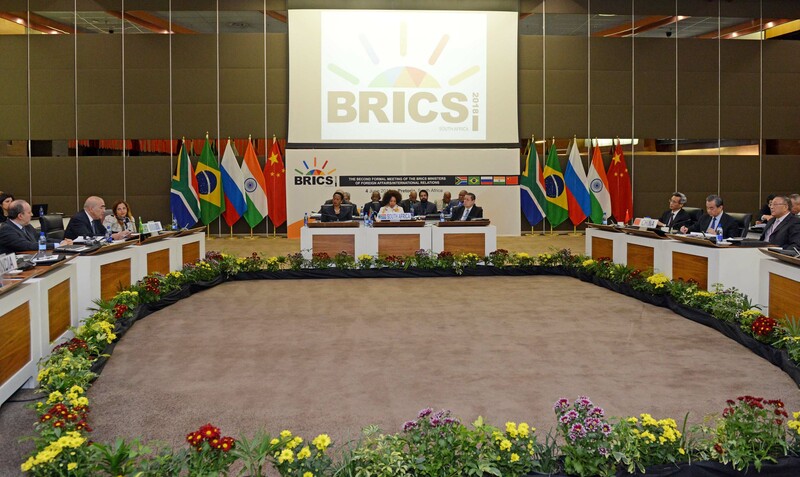 The five foreign ministers of the BRICS forum have called for the UN Security Council to become more representative. But they have fallen short once again of explicitly backing the demands of South Africa, India and Brazil to be given permanent seats on an expanded council. The ministers met in Pretoria on Monday to prepare for a summit of the leaders of the five members states – Brazil, Russia, India, China and South Africa – in Johannesburg in July. They said they were meeting to affirm the importance of multinational solutions to global problems, at a time of growing nationalism, populism and trade protectionism in the world. “The current global geopolitical realities make a meeting of this nature not only necessary but timely,” said South Africa’s Minister of International Relations and Co-operation, Lindiwe Sisulu. “We meet in the face of multilateralism under siege: when the integrity of international agreements can be hastily and expediently compromised; when more and more countries take an inward-looking position at the expense of others. 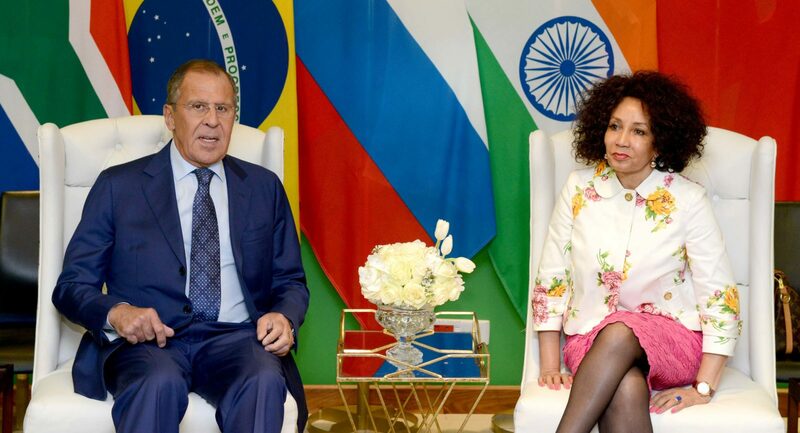 Sisulu’s counterparts in the meeting were Russia’s Sergey Lavrov, China’s Wang Yi, India’s Sushma Swaraj and Brazil’s vice minister of foreign affairs, Marcos Galvão. Despite their strong criticism of unilateralism and general commitment to multilateral global governance and to the reform of the United Nations, the BRICS ministers failed explicitly to back the demand for more permanent seats on the UN Security Council to make it more representative. Two of the BRICS member states, China and Russia, have permanent seats on the council and the three other members, South Africa, India and Brazil, would like to have permanent seats. But South African officials say China in particular is not keen to add more permanent seats because its arch-rival, Japan, is one of the main countries campaigning for a permanent seat – in an alliance with Brazil, India and Germany. So the communiqué from Monday’s meeting “reaffirmed the need for a comprehensive reform of the UN, including its Security Council, with a view to making it more representative, effective and efficient, and to increase the representation of the developing countries so that it can adequately respond to global challenges”. It added that “China and Russia reiterate the importance they attach to the status and role of Brazil, India and South Africa in international affairs and support their aspiration to play a greater role in the UN” – but without specifying support for that “greater role” to include permanent UN Security Council seats. The communiqué also said the five ministers “emphasised the importance of an open and inclusive world economy enabling all countries and peoples to share the benefits of globalisation”. Sisulu said the US and President Donald Trump were not specifically mentioned when the ministers discussed growing nationalism, unilateralism and protectionism. But clearly they were implied. Swaraj said her country believed in a global family. The gathering summit in July will be the second BRICS summit hosted by South Africa, which is chairing the body this year. Pretoria has launched initiatives on promoting intra-BRICS tourism, co-operating in peacekeeping, joint production of vaccines and exploiting the fourth industrial revolution, as its contribution, as this year’s chair of the forum of major emerging nations. Sisulu added that BRICS was meeting at a time of seismic changes in the world, including the strife in Syria,Yemen and Afghanistan, migration to Europe, the intensification of the conflict between Israel and Palestine and “the re-emergence of national protectionism that threatens multilateralism”. The five ministers underlined their firm commitment to free trade, and the centrality of a rules-based, transparent, non-discriminatory, multilateral trading system as embodied in the WTO. They opposed the new wave of protectionism and the systematic impact of unilateral measures that are incompatible with WTO rules, and undermines global trade and economic growth. The ministers also “reaffirmed their resolve to foster a global economic governance architecture that is more effective and reflective of the current global economic landscape, increasing the voice and representation of emerging markets and developing economies. The ministers also welcomed the progress of the New Development Bank (NDB), established by BRICS leaders, including the upcoming establishment of the Americas Regional Office in São Paulo, Brazil, which, alongside the Africa Regional Centre (ARC) in South Africa, would help the NDB to consolidate its presence on those continents, they said. South African officials believe that under its new management Eskom will probably now use the loan it was offered a few years ago from the NDB to build transmission lines to connect renewable energy plants to the national grid. Since then the NDB has also given South Africa a loan to upgrade Durban’s port. They praised the third BRICS Counter-Terrorism Working Group Meeting held in Nelspruit on 19 and 20 April 2018 and called for the urgent adoption of the Comprehensive Convention on International Terrorism in the UN General Assembly. They also welcomed the recent diplomatic efforts by the US and the two Koreas “to achieve the complete denuclearisation of the Korean Peninsula and maintain peace and stability in North-East Asia”. One the continuing conflict in Yemen the ministers urged all parties to “fully respect international law to cease hostilities and to return to the UN-brokered peace talks, leading to an inclusive Yemeni-led dialogue towards the achievement of a political solution to the conflict”. They also backed an “Afghan-led, Afghan-owned national reconciliation process to end what they called the deteriorating conflict in Afghanistan. They called on the international community to help Afghanistan stabilise security and return to a negotiated peace. The ministers also called for a political resolution of the conflict in Syria “through an inclusive Syrian-led, Syrian-owned political process which safeguards the state sovereignty, independence and territorial integrity of Syria”. They reiterated their support for the Geneva peace process, the mediation offered by the UN, the Astana process, and Russia’s efforts to advance the Syrian national dialogue. They also “reiterated their strong condemnation of the use of chemical weapons by any party, for any purpose and under any circumstances, and renewed calls for comprehensive, objective, independent, and transparent investigations of all alleged incidents”. A joint investigation by the UN and the Organisation for the Prohibition of Chemical Weapons has already identified both the Syrian government and Islamic State as perpetrators of chemical attacks, but the BRICS ministers apparently supported Russia’s prior contention that this investigation was not credible or final.